It's the Thanksgiving holiday again, and that means it's time to put on the feed bag, to turn on the game and to relax for a long weekend. If you want to enjoy your holiday, you need to make sure that nothing ruins your special dinner. Pests are always on the lookout for food, and Thanksgiving is the perfect time for them to show up and cause problems. Pests belong outside, but once their numbers have expanded, they spread out and invade your living areas. You'll want to mow the grass, to pull the weeds and to cut back the shrubs if you want to take out the pests' breeding and hiding spots. Maintaining your lawn goes a long way to keeping pest populations low and preventing insects from coming inside your home. After maintaining your lawn, you'll want to seal up any cracks and crevices around your home. After all, those insects will look for places to go. Invest in some tubes of silicone or foam sealant, and plug up the cracks and crevices along the foundation and around windows and doors. Hard-to-spot gaps like those around dryer and attic vents should also be plugged. Although it's great for you to keep your trash in covered bins, you should move them farther away from your home. If you keep the bins next to your house, it's easier for ants and other insects to find ways inside your home. Setting the bins near the road puts added distance between the trash, the bugs and your house. Clean up thoroughly after cooking and eating. Keep your food covered at all times. Store leftovers in sealed containers. Take out the trash especially if it contains food scraps. Empty boxed goods into plastic containers to prevent pantry pests. All the do-it-yourself pest control in the world can't compete with professional services. A professional technician knows where to look for pest entry points and how to combat each species. In addition, a technician can use preventative treatments to stop future pest infestations in only one visit. Want a pest-free home for Thanksgiving and throughout the holiday seasons? 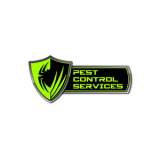 Contact Pest Control Services Inc. to request an inspection and to get a free quote. Our trained technicians will knock out any existing infestations and prevent future pest insects and rodents from invading your home.